We train the next generation of public health leaders to understand the needs of their communities and innovate through research and collaboration. The Department of Management, Policy, and Community Health (MPACH) at UTHealth School of Public Health offers Master of Public Health (MPH), Doctor of Public Health (DrPH), and Doctor of Philosophy (PhD) degrees and provides instruction in the disciplines of health economics, health services research, health care management, health policy, and community health practice. Our healthcare management program is one of the few CAHME-accredited programs in schools of public heath. We have more than 35 faculty members who are experts in their fields and are dedicated to their students, engaging them in their research. Our students are from diverse backgrounds and collectively share a wealth of professional and educational experiences. Graduates go on to address public health challenges both domestically and internationally, applying their education to solve real world problems. For more information on minors, please visit the degree programs webpage here. The MPH in Healthcare Management provides students with a solid foundation for managing in an interdisciplinary healthcare environment. The program provides training for students with interests in administration and management of a variety of healthcare environments, including hospitals, public health agencies, nursing homes, health systems, pharmaceutical firms, payers and other organizations in the healthcare sector. Students gain an appreciation of all aspects of management, including organizational theory, finance, operations management, law, and strategy, which will help to improve organizational and community decision-making. The program provides a basis for understanding key managerial functions within the broad spectrum of public and private health systems. The MPH in Community Health Practice focuses on the application of public health sciences at the community level. Faculty and students are concerned with the assessment of population health, the planning, implementation and evaluation of health programs in community settings, and appraisal of community-level effects of health policies and programs. The teaching program emphasizes systematic analysis and appropriate use of quantitative and qualitative health data. Students develop and enhance their skills by examining community health issues in the classroom and the community. The MPH in Health Services Organization emphasizes the planning, management, and evaluation of health service systems, services, technologies and policy. The curriculum includes health economics, decision analysis, health services research, public health and legislative processes, survey research, outcomes research, quantitative methods, evaluation research, health disparities and vulnerable populations, health administration, economic and social determinants of health, utilization of health services, and ethical and legal aspects of public health. The DrPH program in Community Health Practice offers interdisciplinary training for students who wish practice at an advanced level or pursue academic careers in public health. The DrPH program emphasizes preparation for practice. It offers breadth acquiring essential competencies through the completion of courses in a major, a minor in Leadership, and a discipline or breadth minor. DrPH students are also expected to complete a practicum related to their area of interest. The PhD program in Management, Policy and Community Health is offered in the fields of health economics and health services research (PhD HE/HSR) and management (PhD Management) related to the health sector. Students interested in careers in these areas may pursue advanced study that leads to original research and culminates in the award of the PhD degree. The Doctor of Philosophy in Health Economics / Health Services Research (HE/HSR) emphasizes the economic evaluation of cost, access, and quality within the health care system. Students focus on understanding decision-making processes among consumers, providers, hospitals clinics. The Doctor of Philosophy in Healthcare Management emphasizes leadership development within healthcare organizations, understanding the complexities of healthcare delivery while addressing costs and quality. Faculty in the MPACH Department at UTHealth SPH are leaders in the fields of healthcare management and health policy. Here in Houston, students and researchers have access to more than 20 hospitals, clinics, schools and other healthcare businesses in the largest medical center in the world. 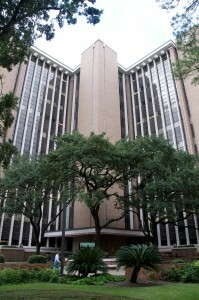 The Center for Health Systems Research, Policy, and Practice is comprised of three research centers and an institute. UTHealth SPH also collaborates with the other schools of public health in Texas. Welcome! On behalf of the faculty, staff and students in the Department of Management, Policy, and Community Health, I would like to congratulate you on beginning your graduate education with us. Students graduate to manage local and regional health departments, lead government agencies, and manage hospitals, clinics, & other healthcare organizations.